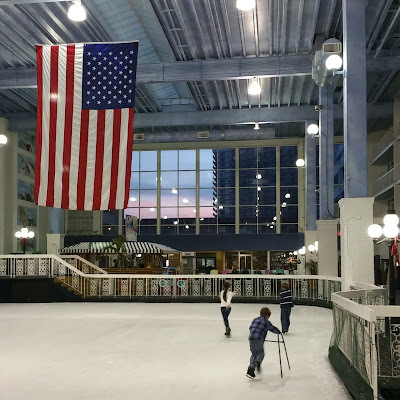 The Trio's favorite activity in the winter is ice skating at a little indoor rink near the ocean. I hardly ever take them, but the last day in January seemed like a good time. I brought my knitting (I haven't given up my goal to finish my Song of the Sea cowl by tonight) and the tail end of my latest audiobook, Belgravia. 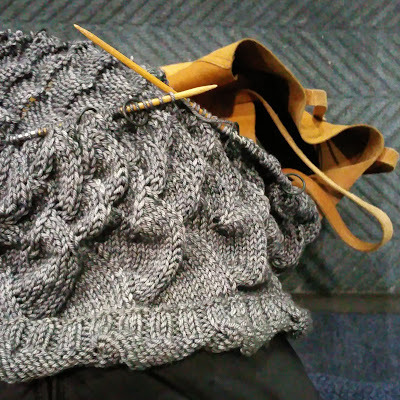 Keeping myself well occupied is key to a lengthy stay at the rink! When you think of ice skates, what is the first thing that comes to your mind?